← How Can Our Therapies Help You? A stroke can change your life forever. Even mild strokes can cause disabilities or changes in your life that will force you to adapt. Through our Rehabilitation Services in Flemingsburg, Kentucky, Pioneer Trace Healthcare & Rehabilitation can help you recover from a stroke and get your life back. We understand how challenging it can be, but we know how to get you back on your feet. We will guide you every single step of the way to ensure your success. A stroke can have a number of different effects on the body. Depending on the location of the stroke and the severity of the stroke, you may experience different effects. A stroke can cause difficulty with speech, paralysis, physical weakness and depression, among others. You may lose your sense of touch and experience muscle spasms, joint pain, and much more. A stroke is a serious condition and it can turn your life upside down. However, there are still ways to help get your life back on track. Depending on how serious the stroke is, we are able to provide you with the rehabilitation you need to recover your old life. We do this through three different kinds of therapies: physical therapy, occupational therapy, and speech therapy. They are all used to battle a stroke. Depending on your symptoms, you may need one form of therapy or you may need them all. Either way, we will make sure that you are getting the care and the support you need. Typically, we will start with occupational therapy. This is the therapy that deals with cognitive and physical changes. We will help you relearn things or how to live a normal life once again. 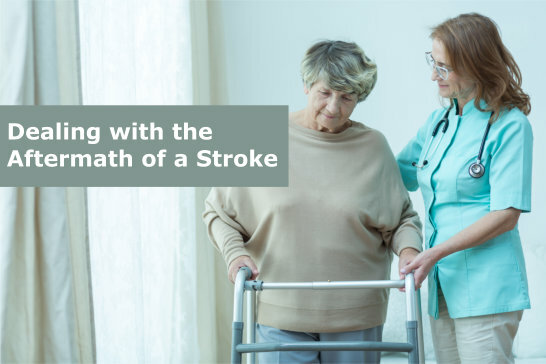 It can be hard to do even the basics after a stroke. We can give you the strength and the means to continue where you left off through this therapy. Through speech therapy, we are able to help you improve your communication abilities. If you experienced difficulty talking after a stroke, we will give you the help you need. Lastly, our physical therapy is designed to improve and recover your physical strength and functional motor capabilities. There is no denying that a stroke can make life hard, but it is possible to recover. We will always be by your side! If you would like to learn more about our services and what we are able to do for you, check out our website at www.pioneertrace.com for more information. Also, if you have any questions that you would like to ask us, you can contact us at 606-845-2131. There is always hope! This entry was posted in Rehabilitation, Therapy and tagged helping physically, mentally disabled, Stroke Recovery, sufficiently knowledgeable. Bookmark the permalink.